The Center for Excellence in Negotiation hosted a seminar led by Boston-based Bridgeway Group negotiation expert Arthur Martirosyan on the role of values and environment on negotiation processes. The discussion aimed to help the CEN set its agenda for the coming year. The CEN’s work has three prongs: (1) training, (2) analytics/research, (3) consultation/interventions. The CEN is a program of AUA’s Legal Resource Center. 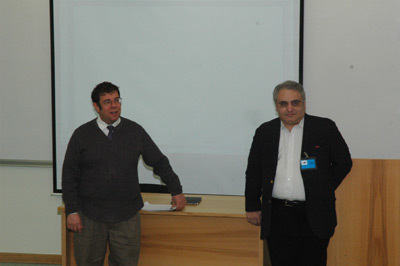 The CEN is funded in part by the Carnegie Corporation of New York and is part of a network, including CEN-Kiev and CEN-Moscow, whose activities are led by Mr. Martirosyan. Mr. Martirosyan has nearly two decades experience as a process technician, analyst and adviser, and has worked in many international hot spots, including the Balkans, Mid-East and No. Caucasus regions.